It has been a memorable summer for Garrett Takamatsu. Having completed his freshman year at Central Alabama Community College, the North York native signed up to play for the Toronto Maple Leafs of the Intercounty Baseball League. 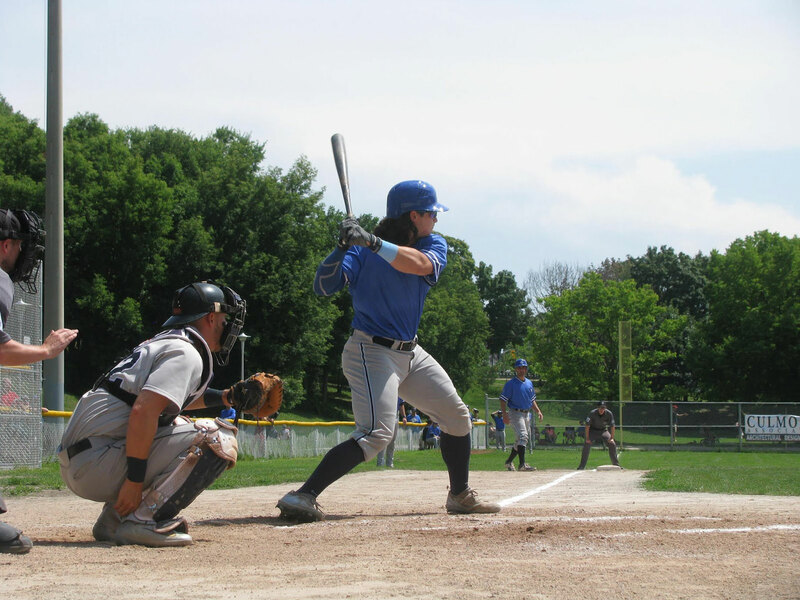 A new face at Christie Pits, Takamatsu burst onto the scene with his youthful energy and aggressive approach at the plate. His athleticism allowed him to play first base, catcher, outfielder or designated hitter, depending on the day’s lineup. His thickset build and the flamboyant flow of dark hair that tumbles out from behind his cap made him an unmistakeable presence on the diamond. He quickly became a fan favourite. In turn, he has become a fan of Toronto’s legendary sunken ballpark. It caught on in no time. By season’s end, the entire ballpark was greeting his every appearance at the plate in full voice. “There’s awesome fan interaction. It’s great having a group like that around,” he says with appreciation. Takamatsu was one of several new additions that changed the character of the club. The Leafs bonded as a team and got off to one of their best starts in years, riding high in the standings through May and June. Their momentum came to a sudden halt in July, however, as a 10-game losing streak threatened to derail everything. The good news is that the Leafs pulled it together and won their final two games of the regular season to finish fourth in the league standings. They entered the post-season with a modest head of steam. Their first-round playoff matchup was against the Guelph Royals, in a best-of-five series. The Leafs jumped out to a 1-0 series lead with a victory at Christie Pits on August 9. Takamatsu hit a game-winning home run to the delight of the home crowd. The Royals won the next two games, meaning that the Leafs faced elimination and an early departure from the playoffs for the second year in a row. The fourth game of the series was played in Guelph, and the Leafs seized the wheel, winning a 6-5 nailbiter in 10 innings. That set the stage for a fifth and final game at Christie Pits on August 15. Years from now, thousands of people will say they were there, because history was made. The series was closely fought without any blowouts for either team. Game five continued the pattern. It was a low-scoring affair, tied 2-2 until the bottom of the sixth inning. A scriptwriter could not have outlined what happened next. Garrett Takamatsu happened. He stepped up to the plate and crushed a home run into the trees. It was another game-winning home run. The Pits went collectively insane, or at least boisterously batty. The Royals were unable to respond, at which point fans began to notice that the Royals had not even recorded a hit all night. Their two runs were the product of a wild inning filled with errors, walks, and a hit batsman — but not one hit. The delirium over Takamatsu’s big fly shifted to the mound, where Zach Sloan had just finished pitching six innings for Toronto. He was replaced in the seventh by Marek Deska, who needed to shut down the Royals for three more innings. Deska is a longtime Leaf and seasoned veteran. He got through the seventh with ease, the eighth with barely a worry, and it was on to the ninth and a chance at history — a no-hitter. No-hitters are rare in baseball and especially in the heavy-hitting Intercounty Baseball League. The league’s last 9-inning no-hitter was pitched in 1977 by Jesse Orosco (of New York Mets World Series fame). What Deska was now attempting to complete was rarest of all. In the league’s entire 100-year history, no one had pitched a post-season no-hitter. The first Guelph batter grounded out. The second one struck out swinging. Destiny knocked on the door. Deska reared back and struck out the final batter of the game. Game over, and a series win for the Leafs. Sloan and Deska combined to achieve something no one had ever done before. It will go down as one of the most historic nights of baseball at Christie Pits. Best of all, the Leafs now advance to the semifinals and the season rolls on. They will take on the Kitchener Panthers, hoping for a shot at the championship series. No matter what happens next, Takamatsu says that this season has been something special. Will he keep the hair when the season comes to an end? Find the Toronto Maple Leafs’ complete postseason schedule at http://www.pointstreaksites.com/view/mapleleafs/home-page-720.